Why Choose Us for Modular Homes? With modular home building becoming increasingly more popular in our area over the last several years, we decided to learn more about the modular home industry and see if the quality of a modular home could compare to the level of quality we achieve with our traditional built homes. After more than a year and half of research, visiting different manufacturers, touring factories and learning the fine details of how they are built, we discovered that our standards could be met and we decided to expand our business to include the service of building modular homes. However, we wanted provide the highest quality custom modular home available to our customers. 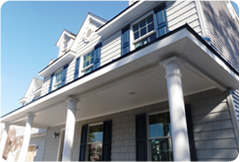 With over 25 years of experience, over 6,000 homes built and various awards, Westchester Modular Homes stood out. With their superior quality, reliability and outstanding reputation, they were our first and only choice. 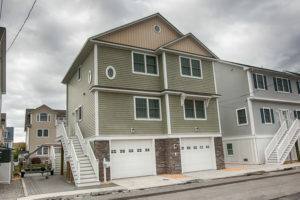 We are proud to be an Authorized Independent Builder for Westchester Modular Homes for Ocean and Monmouth County. 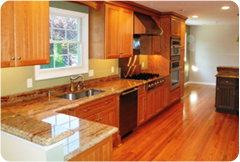 Please visit Westchester Modular Web-Site for more home plans. Click Here. As a family company with years of experience as carpenters, home builders and remodelers we can use all of our knowledge of traditional home building and remodeling, industry resources, and our ability to build true custom kitchens and baths and merge them together to provide the very best in modular home construction. 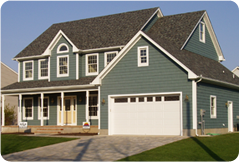 We offer the most complete true customization of modular homes in our area. The most important aspect of our company and what separates us from many other modular builders is simple, we are carpenters first and foremost, we are not salesmen or the type of contractor who sells a home, then never step foot on the job-site. All of our homes are always fully supervised by the owners of the company throughout the entire construction process. Our homes are always designed, built and finished by hands-on experienced professionals of the building trade. 1. In-House Design Services – We provide fully customized 3-D Cad Drawings for all our new homes. We meet with every customer one-on-one to design the exact home you want at our design center. This services eliminates the need for a full set of plans from an outside architect, which could easily save $10,000 or more. After the new home design is completed, Westchester Modular provides in-house architectural and engineering services, included in the price of the home, to review and finalize the new home plans assuring they meet all building codes. Although a local architect may be required for any add-ons not factory built, such as decks or porches, the cost savings is still significant. 2. Full Customization – Throughout the entire planning process, from initial concept to finished plans, we work closely with our customers to design the perfect home. With the overwhelming amount of products available today, we guide our customers through selection of products and educate them on the differences and quality of each product. Our experience with using numerous products allows us to help our customers choose the best products for their new home and budget. 3. Factory Built with Quality and Precision – Having your home built inside a factory has many advantages. First, they are built in an indoor climate-controlled environment, eliminating problems caused by weather and severe outdoor temperatures such as mold, uneven settling and lumber warping. This allows the factory workers to fully concentrate on building the home rather than be concerned about working in poor weather conditions. Second, they are built with laser precision and true craftsmanship. Every piece of lumber is cut to exact measurements and assembled to strict factory specifications. Finally, modular homes are built to withstand the stress of transportation and movement, resulting in a much more sturdy and stronger home than traditionally built homes. In fact, modular homes use about 20% more lumber than traditional homes. 4. Quality Control – Each home is built to comply with nationally accepted building codes including BOCA Basic Building, Plumbing, and Mechanical code as well as the National Electric code. Every phase of modular construction is inspected in the factory by an independent 3rd party to verify code compliance, before the next phase of construction can begin. As a result, the homes undergo a much more intense inspection compared to the local township inspections. 5. Energy Efficiency – Modular homes are energy efficient for several reasons. 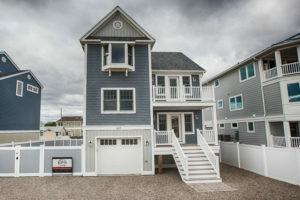 First, quality engineering and the latest construction techniques significantly increase the energy efficiency of your new modular home. Second, because they are built to withstand the transportation from the factory to the site, the homes are built with thicker walls, floors and ceilings allowing for more insulation. More insulation results in less air infiltration, which is one of the largest causes of heat loss in a home. Third, because your home is built in a closed indoor environment, lumber and other materials never get wet eliminating mold and mildew problems. This creates a healthy living condition and clean non-toxic air in your home for your family to breathe. Finally, with the addition of using Energy-Star rated products, such as high performance windows, appliances, heating and cooling systems and water saving plumbing fixtures, these new modular homes will result in lower utility bills for years to come and reduce the impact on the environment. 6. Green Building – When a modular home is constructed in a factory setting, it allows for a reduced amount of waste generated throughout the entire construction process. All materials are carefully calculated drastically reducing the amount of waste typically generated with traditional built home. The factory also recycles all waste materials and practices energy saving practices throughout its facility. Also, when a home is delivered to the site, it is about 70-80% completed. This reduces the environmental impact at the site and surrounding areas, while also dramatically reducing the amount of debris in our local landfills.